Manchester United has completed the signing of Brazilian star Fred in a £52million deal from Shakhtar Donetsk. The 25-year-old was unveiled on Thursday afternoon after he signed a five-year deal at Old Trafford with the option to extend it by a further year. Reacting to the latest addition to his squad, United boss Jose Mourinho praised the deal by saying his 'creative brain and passing vision' were the primary reasons behind his signing. 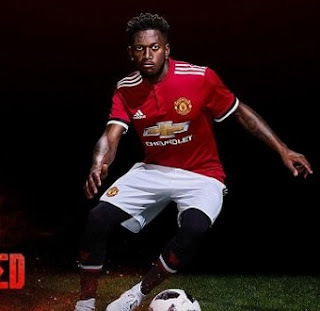 'Fred will complement our other midfielders' qualities, which we need; his creative brain and passing vision will give us another dimension to our game,' he told the club's official website. On signing for Manchester United, Fred said: 'This is the biggest club in the world and I am delighted to be a part of this amazing team. He's now the second signing for Manchester United this summer after the arrival of Portuguese full-back Diogo Dalot's earlier this month.